The following interview is the second of a three-part series with Dr. Higdon discussing his experience with individuals like attorney Moore who have been unrepentant participants in the rampant judicial misconduct in Georgia. Moving beyond the broad generalizations and unsubstantiated facts that so often accompany interviews where a litigant alleges foul play, we asked Dr. Higdon to buttress any claims of injustice perpetrated against either himself or his children by providing GCR the relevant evidence and documentation which substantiates the veracity of his recent claims against Attorney Krystal Moore and others. GCR: We were surprised by your choice to go public with the evidence of Moore’s extortion attempt against you even though the false charges she brought against you were summarily dismissed. Doesn’t this kind of publicity place your career at peril? Dr. Alex Higdon: I think we were past the point of jeopardizing my career when the initial article in my case ran chronicling the judicial misconduct of the Georgia Court of Appeals. As a clinical psychologist, going public is the last place that I wanted to go with this whole affair. Stepping down in the muck with these people poses a significant risk for me in being branded the disgruntled aggressor as opposed to these inveterate law breakers. More importantly, just being seen as embroiled in some controversy makes me vulnerable to prejudgment as so often folks don’t exercise due diligence to learn the facts of cases before they make their decisions about what is true. Unencumbered by the facts, most folk have a propensity to fall back on a pervasive bias toward the court that says “If the courts are doing this to him, he must have done something wrong because these judges wouldn’t be that corrupt!” I am ashamed to say that I once held this bias myself. It comes down to this. I feel I have no choice other than to come out publicly and fight. First, I still have children who are being denied the care they need and several other families like my own who are being dismantled and disenfranchised by the business of divorce here in Georgia. All I wanted was a just and fair adjudication of my divorce that didn’t jeopardize my right to care for the health of my children. When that right was denied, I simply asked Attorney Moore to honor her promise to help restore those rights to myself and others that she and her associates had forsaken. Secondly, Moore and her associates have aggressively gone public with an approach of “Gee Alex, we’re sorry that we traumatized your family and so many others, but if you come forward with the evidence of our guilt, we’re gonna conjure up some lies, engage our many court contacts and use your legal ineptitude to bury you!” It’s not hard to see where Moore is headed as first she divined some canard about harassing phone calls and stalking and now she’s spinning a yarn that suggests my recordings of her revealing multiple violations of law are falsified. To combat this fraudulent and aggressive campaign against me, I did choose a more prominent approach as both Moore and her mentor Tusan are quite adept at draping themselves in the flag while feigning probity and public service. And lastly, I’ve toiled silently within the confines of this broken system for over three years and watched disparate courts band together to block my litigation. As Attorney Moore has attested, word travels fast among these courts and when the silent collusion between judges and their staffs isn’t enough to dissuade a litigant like myself to go home, these judges will claim frivolity and impose global pre-filing injunctions that require a litigant to obtain pre-approval by the presiding judge in order for any pleading to be officially filed. 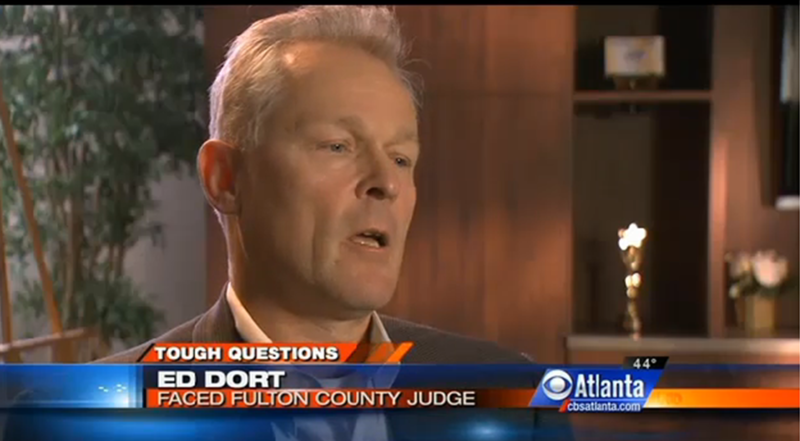 After we last spoke with you in August, we were under the impression that Attorney Moore was interested in bringing to light the reign of wrongdoing that for decades has ruled Fulton County Courts. Can you understand our confusion by her recent turnabout? Absolutely. Like you, I initially assumed her admissions to me about the violations of law that both she and Judge Gail Tusan committed against my family were born from a desire to whistleblow. This was a near fatal presumption on my part. I say “near” fatal because I was able to salvage some evidence against Moore and her cronies by capturing some of her testimony on audiotape, emails, and texts. I was beyond words when she first came to see me and showed me countless court emails confirming the criminal wrongdoing of several judges. 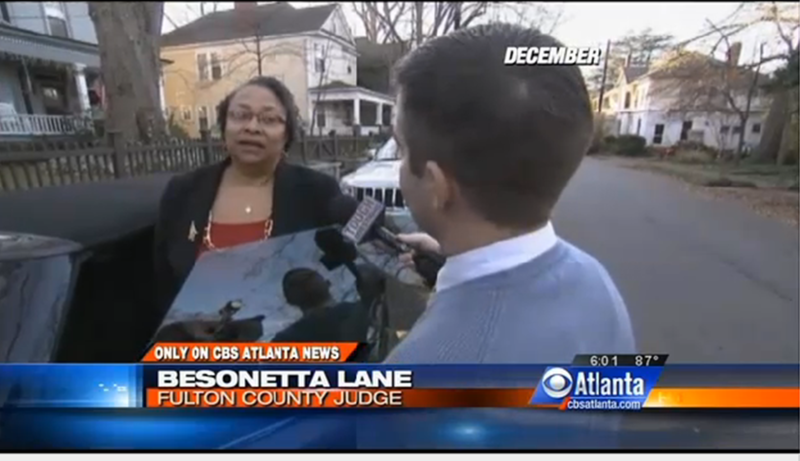 Although she refused in that moment to provide me those emails so I could begin suing these perpetrators for what they have been doing to Georgia families, she did promise to provide approximately 2000 emails at a later date if I would subpoena her in a way that she would not be seen as “snitch.” Krystal Moore Subpoena You are going to have to look me up and show you found the address. 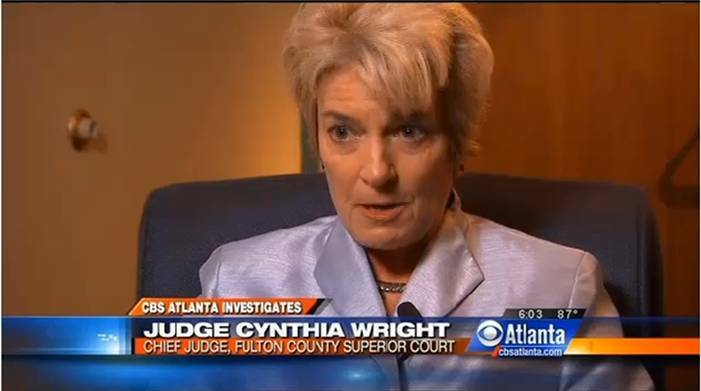 It’s still heartbreaking to think about, but it was little more than a week until I realized that Krystal had made her promise in bad faith and was no longer willing to help the Fulton County families that she and her judicial accomplices had decimated. She callously backed out on her pledge to provide me information about these crimes by sending me a text stating “Mr. 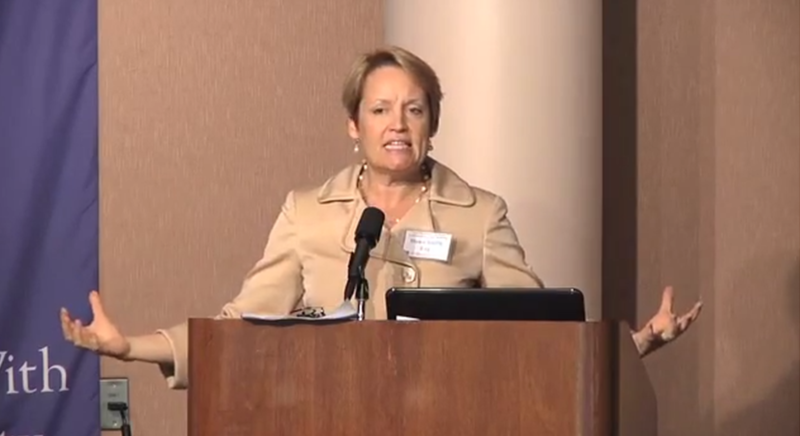 Higdon, I don’t want my address to be published, or filed on public record. Further, mere statements are insufficient. So, not sure if I would be of much help.” Can you imagine confessing your crimes to the victim you violated and then glibly pulling those admissions off the table because you don’t want your address published? If not from her desire to whistle blow, then why would Attorney Moore reach out to you and implicate herself and her superiors in so many violations of law? During your conversations with Attorney Moore, were you able to get a sense of the violations for which she felt most contrite? I know she had a lot shame about the fact that both she and Tusan knowingly created a fraudulent and discriminatory child support determination. 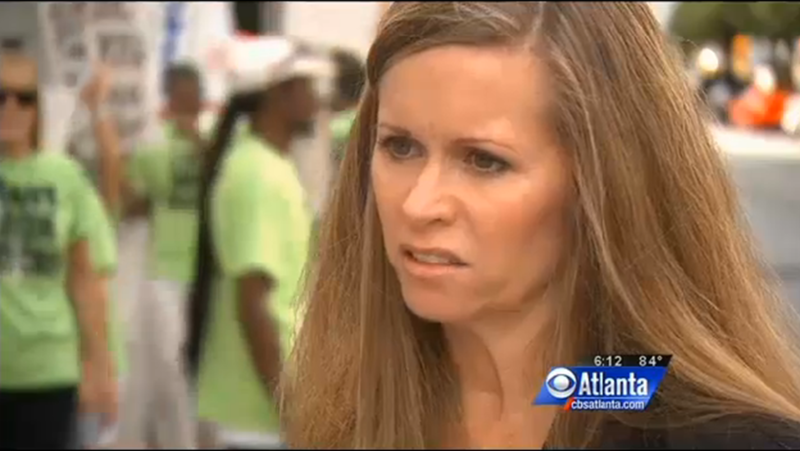 Krystal Moore – “Did Tusan Know I Didn’t have Money?” They wrote their order knowing that my former spouse was lying when she put 48 thousand dollars of extraordinary educational expenses into the support calculator which grossly inflated my monthly support responsibility. These were educational expenses that never happened and Krystal felt bad that the former spouse was being empowered to use that fraudulent order to abuse me in garnishment court. Regrettably, this January my former spouse is again attempting to use that fraudulent order to abuse me in court with Judge Bensonetta Tipton Lane, the third judge to preside in my case after Judges Tusan and Shoob sought safe haven by transferring out. 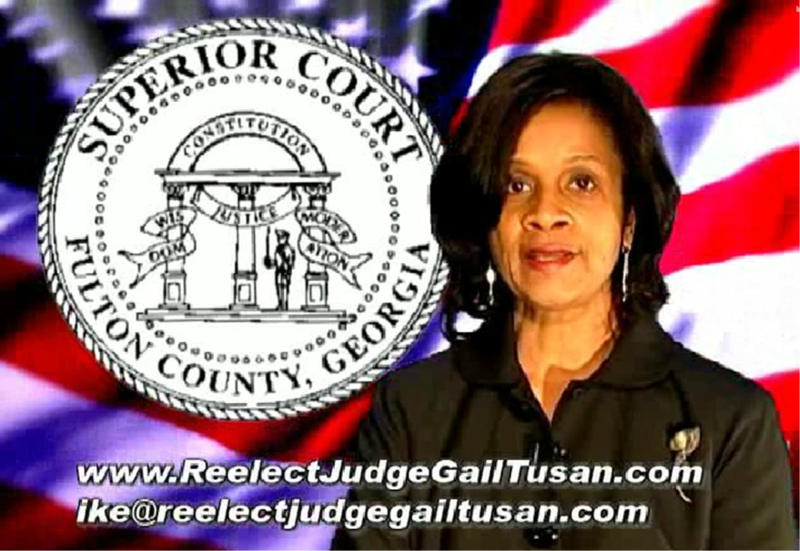 Not only is Bensonetta Lane Tusan’s closest friend and colleague, she is considered one of the most corrupt judges in all of Georgia. Lane has already ignored several pretrial motions that have been pending for many months. I think it is safe to assume that the outcome of my January hearing with Judge Lane has been preordained? Was there any one violation that Moore seemed to feel the worst about? If I was going to point what I believe Moore felt the most guilt over, it would have to be her role in helping Tusan essentially cut off medical care to my children after I spent three years orchestrating a treatment protocol. Krystal Moore – “I want to help correct something that was wrong.” Ironically, my work in developing that protocol which recovered one of my boys from autism and was two thirds of the way there with another was hailed as “phenomenal” and “heroic” by my former spouse’s expert witness. Her words, by the way, definitely not mine. After I assembled some of the world’s most prominent clinicians and researchers like Dr. Timothy Buie of Harvard (PBS Newshour article), Dr. John Shoffner of Hannah Poling fame (Time article), and Judy Van De Water of UC Davis (Time article), Tusan came to the final divorce hearing and allowed my former spouse to dismantle the diets and treatment protocols based on her claim that I had Munchausen’s by Proxy and was doctoring test results for my twins while conjuring up a false history of their developmental delays. It was Tusan’s good friend and Guardian Ad Litem (GAL) in the case Dawn Smith who not only supported my former spouse’s outrageous contentions, but she herself tried to convince both expert witness physicians in the case that I had Munchausen’s and assisted my ex in delaying exculpatory testing evidence at final divorce hearing. This is the same Attorney Dawn Smith who was enraged when I attempted to remove her from our case for lying about her affiliations and credentials in order to be appointed. Her friend Tusan sheltered her from scrutiny on that matter by cancelling the hearing, refusing to produce an order that could be appealed, and then having her assistant send out an email saying she heard “most of the issues” contained in my motion to remove the GAL when she had heard nothing regarding Smith. To make this story even more horrific, Moore understood that the Georgia Court of Appeals colluded with Tusan to shield her from scrutiny on appeal by constructing a fraudulent appellate order that totally ignored any discussion of this matter. Let me just say that for you again in case you did not understand. Justices Anne Barnes, Christopher McFadden and Carla McMillian of the Georgia Court of Appeals penned a false appellate order. Read closely the evidence, its irrefutable. We were blown away by the final email you sent to Attorney Moore in May. Can you help us understand how after just 21 days of contact with Moore you moved so quickly from make up to break up? The email itself represents a pretty detailed account of events but if you follow our entire exchange of texts and emails over the 21 days, they also provide an informative background for how the events actually progressed. Krystal reached out to me first by email on the 21st of April requesting that I “please call”. Because she wanted to meet in person, I have texts confirming that she chose to drive to my Gwinnett office the very next day on April 22nd and we spoke at that location for approximately 3 and a half hours. We spoke again by phone on April 29th for about 40 minutes and then we spoke for close to two and a half hours on the 30th of April. Another factor that I believe contributed to Ms. Moore’s retreat had to do with her interviews with Jeff Chirico of CBS News Atlanta and the advice she received from her Attorney Lisa West both before and after those interviews. Chirico conducted an interview with Krystal and Attorney Lisa West on the 25th of April and then another interview shortly thereafter. Instead of being open and transparent in those interviews about my case, both Moore and Chirico informed me that she was strongly advised by Lisa West not to say anything about the violations of law related to my case. 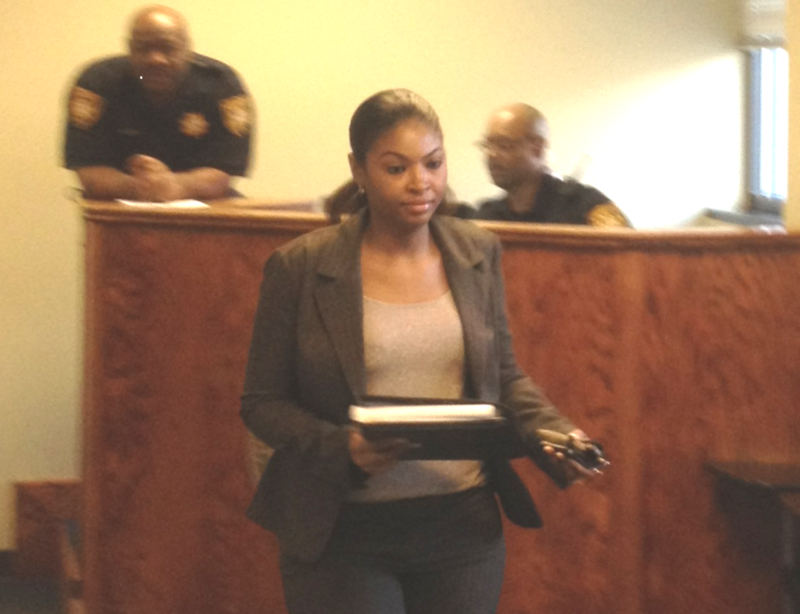 It seemed the more conversation that Krystal had with Attorney West, the more closed she became. 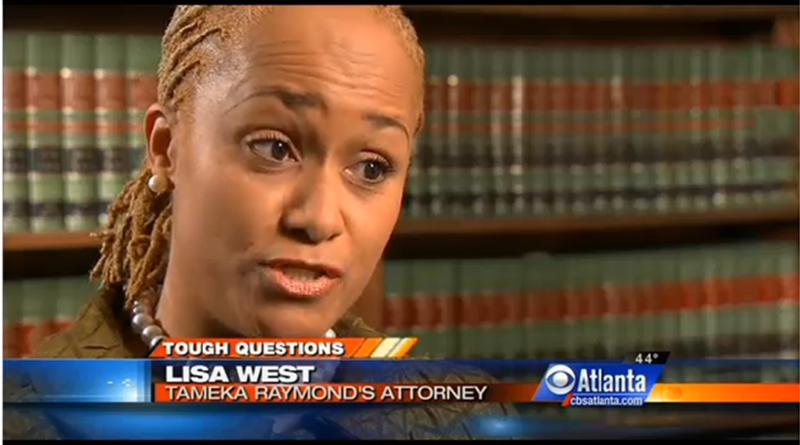 It was very disappointing for me because this was the same Attorney West who was supposedly fighting court criminals like Judge Bensonetta Lane and all the while she was advising another criminal like Moore to keep silent about information that could help countless families. It’s heartbreaking for me to say because I am essentially anti-cynicism, but you cannot afford to trust a single person operating in the Fulton County courts. It’s one thing to “break up” with someone but something entirely different to damage that person through an extortion scheme. How did it happen that Attorney Moore would move from break up to shake down? As I mentioned earlier, on May 6th she sent a text stating “Mr. Higdon, I don’t want my address to be published, or filed on public record. Further, mere statements are insufficient. So, not sure if I would be of much help.” After pleading with her via text to follow through on sending me the emails she showed me on April 22nd, she sent me a text saying “Please do not email me or text me or call me anymore.” That’s the standard text you send someone when you are setting up to file a protective order against them so I backed up a step. At the time she sent this final text she had no idea I had taped our previous conversations and she admitted she was not concerned because she had always wrongly assumed audiotapes would not be admissible in court. I waited a few days to respond to her and then on May 12th I decided to contact her one last time by text and phone just to let her know that she had a full disclosure email waiting in her inbox and that it was “my last” to her if I she did not reach back to contact me. After that very disconcerting call from Moore on May the 12th, I heard nothing more from her as I waited around for the next three months. She just ignored the subpoena I sent her to provide the emails and never showed up. Then on August the 19th, GCR posted the article about Tusan with Krystal’s audiotapes displayed and shortly thereafter on August the 22nd I sent a long text to both Moore and her attorney Lisa West giving them one more chance to come to the table. At that point, Moore could have no doubt that I was serious about whistle blowing the whole affair. But instead of coming to the table and helping those families she had hurt, this was the moment that Moore joined with Beacham and began the extortion attempt. Can you be more specific with us about the process of how Moore attempted to extort you? 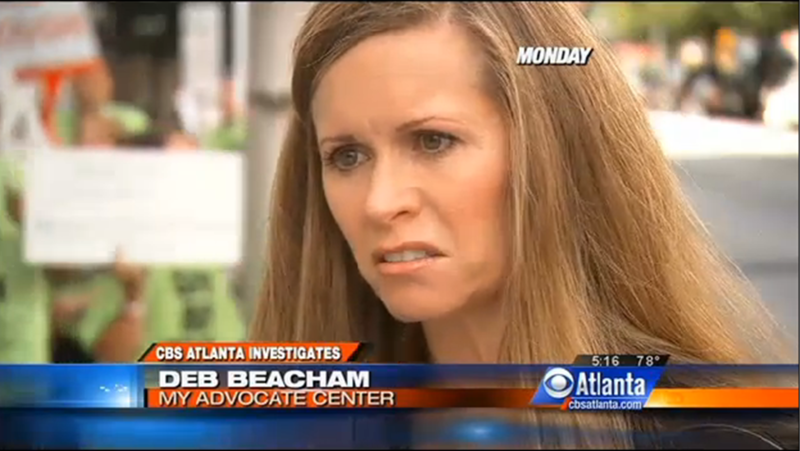 Moore’s primary tool in this extortion scheme was using Deb Beacham of the My Advocate Center as a go between. Beacham’s collusion with Moore makes sense as Beacham saw Moore as a huge publicity opportunity and a way to bolster her flagging business if she could land a big fish like Krystal. Somehow, Beacham made a promise to Moore that she would keep the audiotapes off the internet, then Moore would testify for her in several cases that involved clients for her business. After I refused these attempts at extortion by Moore and Beacham, I showed up at the hearing. Moore was able to finagle a continuance as she thought I would cave to the pressure in court and did not come prepared with a lawyer. I then wrote Beacham an email stating my conditions regarding Moore, hoping she could quickly gain some perspective and integrity. When Beacham’s potential investor Ed Dort saw my email and witnessed the extortion that she and Moore were attempting, he wrote her an email immediately and backed out on his 50k investment. Beacham was incensed and sent me a copy of Dort’s email essentially blaming me for his withdrawal. Can you tell us what happened when you arrived in court with Attorney Moore at that second hearing? You mentioned that she and had perjured herself in court in an effort to obtain a warrant? When we arrived in court, I was not prepared to keep track of all of Krystal’s lies, and more importantly, I was ill prepared to deal with a very angry Justice O’Peace who was presiding and didn’t want some punk pro se coming into his court and attempting to bring one of his own to justice. He gave Moore carte blanche to spew lies and she did not disappoint. She began her testimony by falsely claiming our first contact was from me reaching out to her despite the April 21st email that clearly reads “Please call.” She falsely claimed that she confirmed that I had hacked into her email on the 23rd and afterward told me to never contact her again despite the texts and hours of phone conversations that transpired after that date. She falsely claimed that on April 30th she again told me not to contact her but phone records reveal over 3 hours of conversation between us on the 30th and 1st and emails prove that she sent me an official court document on April 30th proving Judge Tusan broke court rules when she improperly transferred off my case without hearing my pending motion for new trial. And finally, maybe the most egregious lie Moore told was that I was physically threatening and harassing to her despite having details of every text, phone, and email communication with her. You can read for yourself and make your own conclusions, but I can’t imagine someone reading the words that I wrote to the person who participated in the devastation of my family and see them as anything but merciful. Apparently, both Moore’s lawyer and her associate Beacham saw no physical threat in my behavior either as neither mentioned anything regarding me as a potential threat. Instead, both tried to broker a deal to have me take the audiotapes off the internet in exchange for Krystal dropping her suit. That’s extortion, plain and simple. If I was so menacing, wouldn’t each of these individuals have been asking me to stop being so abusive and physically threatening? Even more disturbing is the fact that my last phone contact with Moore was over three months prior to her filing a suit on the 26th of August. Why, you might ask, would Moore wait three and a half months between phone calls to file a charge for harassing phone calls? So where will you go from here? We realize that you are engaged on many different fronts apart from just this case with Krystal Moore, have you thought about next steps? Yes I have. Let me first say this – I won’t be disappearing from the landscape of this case regardless of how much money they steal from me or the jail time that looms. On my walk to the worms, I won’t be toting my tale of woe and retreating to the felicities of middle class existence only to spend the rest of my days regurgitating my victim story with a sort of self-indulgent, fond remembrance. No thank you. I’m going to fight for what I know is fair. I think what’s most important about my case has nothing to do with Krystal Moore and myself, it’s about breaking down the barriers of indifference and retaliation that make cases like mine possible. So for me the next steps involve broadening the base of individuals willing to not only join the fightback, but to stay in it. It’s going to be tough because I think what has made fighting injustice in Georgia so difficult is not the more conspicuous forms corruption like bribery and nepotism that propelled the Center for Integrity to rank Georgia the most corrupt in the union, it’s those more subtle forms of judicial shape shifting that really discourage folks from standing up and staying up. Judicial officers like Tusan and Moore are poised in this practice of obscuring and reshaping the truth and they’re protected by a system that empowers them to commit crimes with impunity and then provides them the graves to bury those who seek to protest. So for me on a personal level, I’ve got to keep the heat on these people and keep reaching out. While I am not oblivious to the dirt being kicked down on me from above, I’ve got a responsibility to continue fighting until I can no longer see the light. This entry was posted in attorney Krystal Moore, corruption and tagged Alex Higdon, Attorney Krystal Moore, Deb Beacham, Judge Gail Tusan, My Advocate Center. Bookmark the permalink.